Vacation Bible School 2015 "Journey Off the Map"
Each year, we-OBC, along with Southwestern Baptist Association, have a booth at the Van Buren-Berrien-Cass County Fair, We enjoy meeting and talking with neighbors-friends as they wander through the building exhibits. 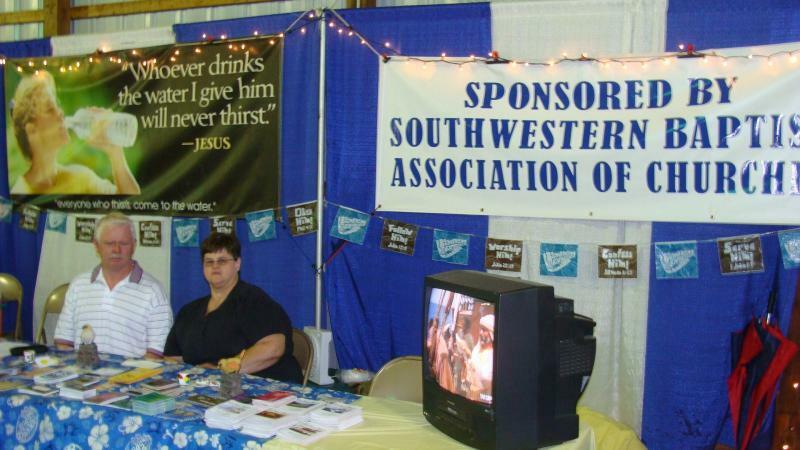 We share our faith at all the fairs and at the Cass Fair give a free cup of water in Jesus' name. Stop by and see us.